Salmo’s Mayor has struck a new Economic Development Committee to make recommendations to Council on ways Salmo can manage growth, leverage opportunities and enhance the business climate. The Committee will be comprised of three Council members and three entrepreneurs with investments in Salmo. “We are very proud of the progress we have made in the past two years in economic development and improving the profile of Salmo,” says Mayor White. “This Committee will help inform this development and will provide Council with ideas and expertise on the issue”. enhanced walkability and access through placement of 17 benches throughout the Village. Council appointees include: Lamiah Arnold-Trower, owner of Dragonfly Café; Bill Baird, owner of Billy’s Auto; and Tyler Rice, owner of Margaux Resources. The Mayor is Chair of the Committee and will be joined by appointees Councillor Dimock and Councillor Lockwood. The first meeting of the Committee is tentatively scheduled for Thursday, March 16, 2016 at the Village office. It will be open to the public. The Salmo Chamber of Commerce and Shambhala Festival organizers will be asked to make delegation presentations. The Committee will consider next steps and commercial opportunities after reviewing the results of a recent Business Walk survey as well as the recommendations made at the Sustainable Salmo public workshop on Economic Development held on December 6th, 2016. 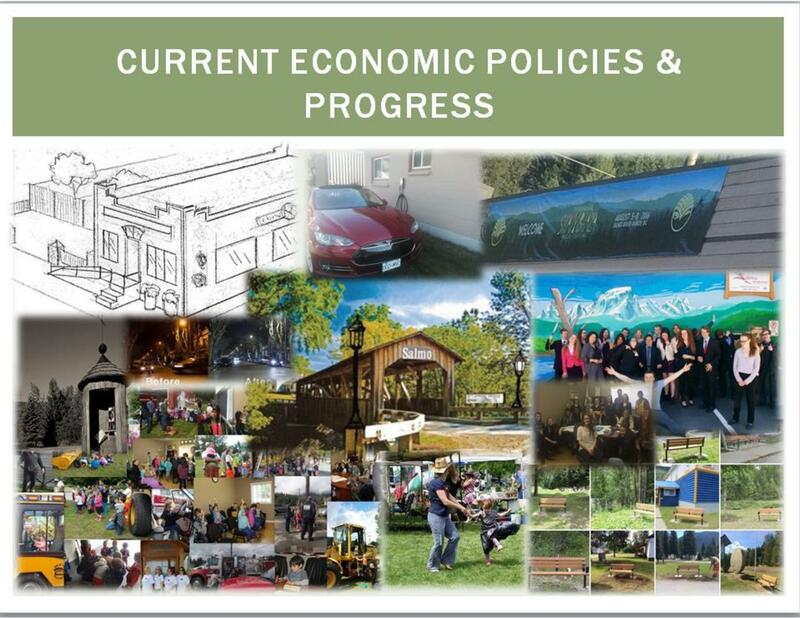 Survey results and details of Salmo’s economic policies and progress can be seen here.